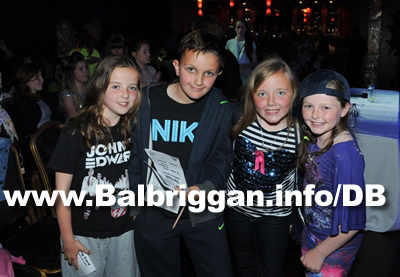 Balbriggan’s Got Talent kicked off to a packed audience in the Bracken Court Hotel, Balbriggan on Sunday 3rd June 2012. 12 Acts battled it out and what an amazing event it was! 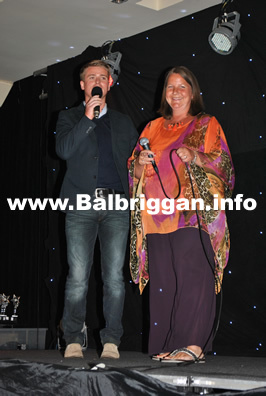 Brian Ormond returned to Balbriggan to compere the show. Lauren Walsh last years winner and Sharon Gaynor from ‘The Voice of Ireland’ gave cracking performances on the night The 3 judges, Linda Martin, Orla Hopkins-Plant and Terry Quinlan had the difficult task of choosing 3 finalists from an amazing array of talent. They gave very useful feedback to the contestants to help them move their acts to the next stage. 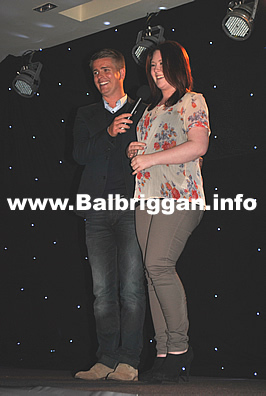 The audience then chose their favourite act ‘Pauline McGrath’ a singer from Lusk to be crowned Balbriggan’s Got Talent. Pauline was presented with the Susan Garvey memorial trophy by Susan’s sister Assumpta Akbas. Second place went to Amy McDonald and third place went to Adam McEvoy. Well done to all the acts for a fantastic night of entertainment!!! 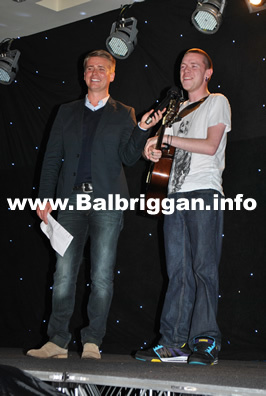 Another fantastic event from the Balbriggan Summerfest Committee!! !